So, your photo session is done and you come to our studio to check out your photos. You realize that you have more then 15 photos that you love and wish you could purchase a print of each amazing photo from your session. What do you do? 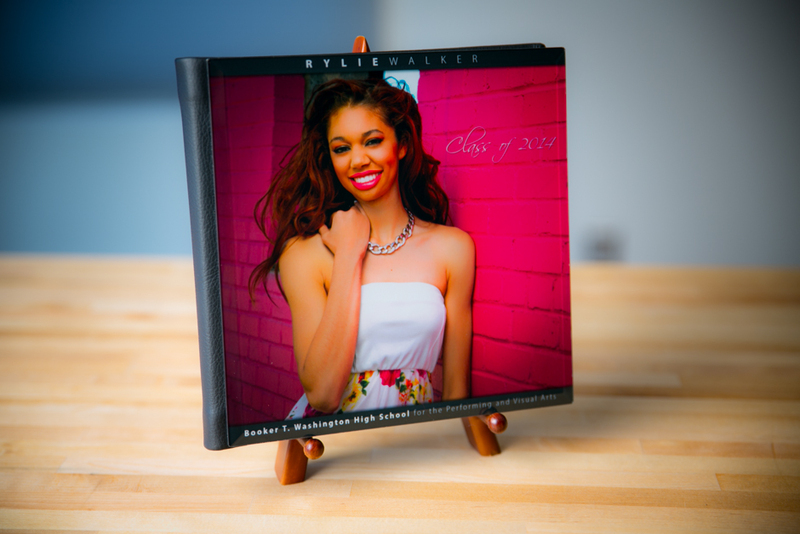 Get all your photos in one format- your very own senior photo album! Our most popular album is our crystal cover album with thick fuji pearl metallic paper. Whats great about this album is the crystal cover which is scratch resistant and has your cover photo shown through the see through crystal cover. Beautiful crystal scratch resistant cover album, thick album fuji pearl metallic paper, flush mounted. Crystal, Hard Cover, and Leatherette. We offer 8" x 8" or 10" x 10" beautiful albums. 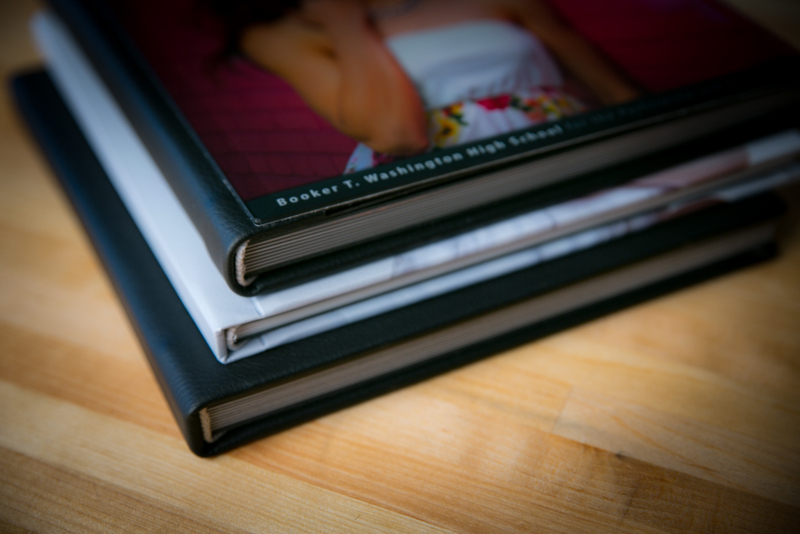 The quality in our albums are the best - custom fit, library binding, seamless. We customize each album cover with the senior's name, year of graduating class, and name of your high school. Every senior should have one. Order yours when you review your photos during your post-photo session meeting. We also provide a beautiful leatherette and hard cover album. The leatherette comes in a stunning variety of colors. Our current colors are black, cardinal red, expresso, and white. The hard cover album is our most economical and is still crafted using high quality materials. You can select an image to be printed on the cover and we can customize it with your name, graduating class year, and school name. Our albums come in two different sizes- 8" x 8" and 10" x 10" at 20 pages each. You can add more pages for an extra fee. And there are two paper options: E-Surface and Fuji Pearl. The E-Surface is the standard choice amongst portrait and wedding photographers. Know of its' consistent predictable flesh tones and rich natural saturation. The Fuji Pearl is the favorite amongst photographers shooting high fashion and high school seniors because of its' higher contrast and cool looking chrome metallic print. All of our photo albums are custom-made and each page is custom designed to show off your best shots.